West Wing” about the fictionalized presidential administration. Martin Sheen played the role of fictionalized president. The series was broadcast from 1999 to 2006. It took some time to locate all UFO references from the series at the time. This time all references are reedited in HD 16:9 format from better sources. 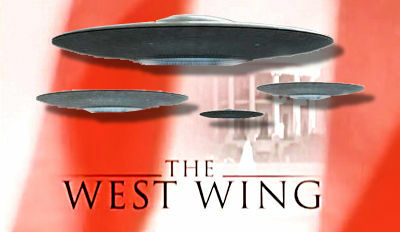 The West Wing & UFOs (Compilation from the complete series) from Eventimus on Vimeo.